I am a mathematician. And yes, I may be a little obsessed with numbers. But my impression is that far too many people trying to drive marketing success for their business or blog are neglecting their metrics. I have talked to marketers, especially in larger corporations who are getting a report once a month for traffic and conversion tracking. I have seen people chasing the wrong numbers that do not really tell anything of value. I have talked to people in awe of vanity numbers like followers or email subscribers – without questioning the real marketing success. And I have seen people interpreting the totally wrong conclusions into meager data. 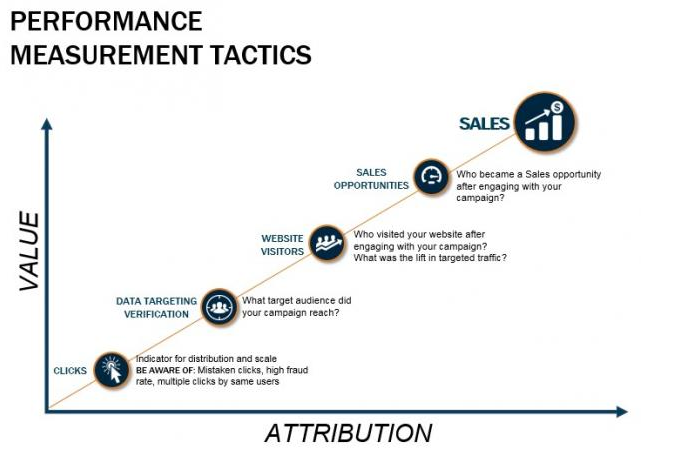 The truth is that for each and every marketing hack, method or path you want to pursue, you need to define the main KPI (Key Performance Indicators) that can tell you if you are doing the right things and doing them right. You also have to figure out how you are going to track these numbers. Because not always will you be able to measure these KPI. And you have to be able to measure these KPI in a reasonable time not waiting (and wasting money) for weeks and then getting a report that tells you what you should have known weeks ago: That you are wasting time and money. Data can answer so many questions in marketing – but you still need to be careful that you do not “interpret” too much into data that this data cannot tell. For instance, if your number of followers in social media is increasing, that does not necessarily mean that your marketing is working. If these followers cannot be turned into traffic and eventually into customers, you can have all the followers you want, your marketing is doomed to fail. 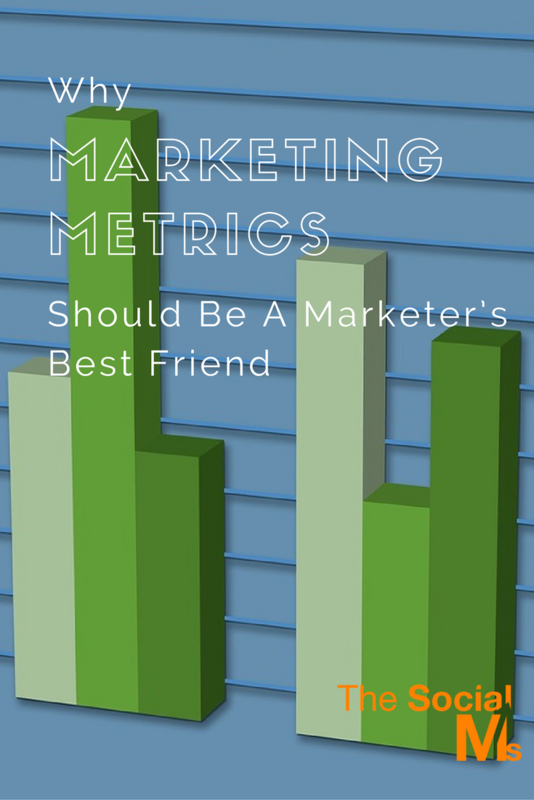 But if used right, metrics are the key to turning you from someone with a little marketing knowledge into a successful marketer and your marketing results from nonexistent or mediocre to outstanding. Your marketing metrics have to develop as your marketing moves forward. You have to figure out what your main goal with your marketing is. And you need to find metrics that can help you move through your marketing process towards your real marketing goal and showing you the right path at each and every step. That means when you are starting out with social media marketing the number of followers on your social account is important – without any followers, your social media marketing is not going to pay off. Once your account has a considerable number of followers you need to move on to the next step and get these followers to perform an action you want them to do. 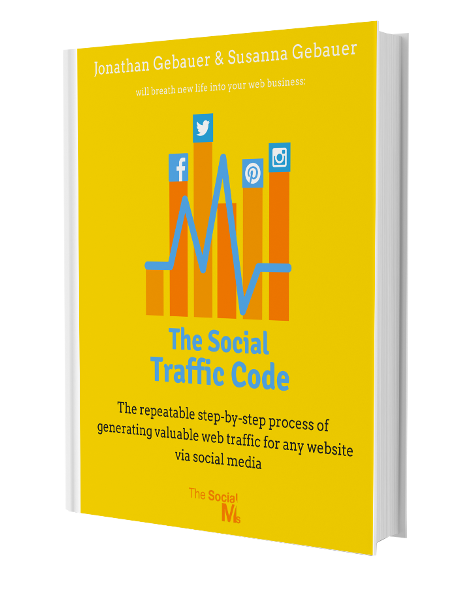 In the above example process, you want to turn social media followers into website visitors, and that means you have to get them to click on your shared links. Once you get traffic to your website you again have to get your audience to perform an action – for instance, subscribe to your newsletter. The number that counts now is the number of newsletter subscribers you get. And so on. What makes the measuring process even more complicated is that if you have more than one marketing process in place, you still need to figure out a way to measure the exact numbers belonging to this process. For instance, if you have more than one marketing process, let’s say you are using social media marketing and advertising – then you need to figure out how to determine where your sales or revenues come from: Advertising or Social. And that knowledge is crucial since you want to focus on the marketing processes that are most efficient and give you the best return. There are several ways to make sure the numbers get not diluted with data from other marketing activities. But often you have to consider data collection while setting up your marketing to make sure you get the data you need. You can set up different landing pages. You can use bonus codes. You can track sources for sign ups and tag your subscribers accordingly. While many marketers get stuck with vanity metrics like followers, subscribers or website traffic, what really decides over success and failure is the revenues you make and the cost it takes to make that revenue which is called customer acquisition cost. That means if you spend 1000$ on marketing per year to acquire 10 new customers, your customer acquisition cost is 100$. To turn this into a profitable process your customers need to bring you more than 100$ per customer in revenue – or the CAS is too high. 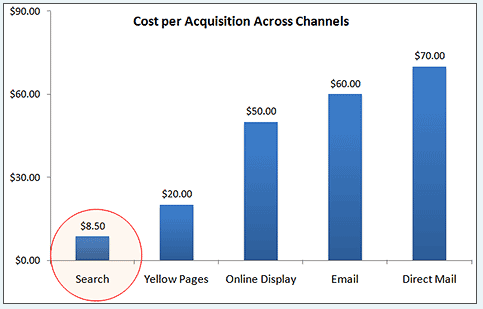 In connection with revenue, customer acquisition cost can easily be your most important number. If acquiring a customer will always be more expensive than the revenue this customer brings your business is doomed to fail. But as said above, you need this number per marketing channel or activity if you want to figure out which of your activities is performing best and which activities you may want to drop. If you want to make it more complicated, you can add the time factor into the equation: The time it takes a customer to pay back the customer acquisition cost. Online marketing is a fast moving business – and that is one of the huge advantages. But considering data and metrics, you need to act accordingly. You can basically get numbers to analyze after a few minutes or hours at most. For instance, if you have an add running and after a day thousands of people clicked on the ad but no one performed the desired action like for instance buying a product or signing up for a newsletter, you do not want to keep this ad running for another week or worse a month. You can try to optimize your targeting or the landing page where the ad leads. If you wait for a monthly report, that ad that did not perform well right from the beginning has probably cost you a ton of money. Here at The Social Ms one of the first questions, when we are talking about a new marketing channel or a new hack we want to try, is: How are we going to measure it. Sometimes we even refrain from trying something if we cannot find a way to measure the impact of something. If you cannot measure it, there is a risk going with it that you are wasting your time and eventually money on a doomed process. Instead, you should spend some time on figuring out how you can measure your marketing progress and success and use data on every step of your marketing journey to answer marketing questions and optimize your processes. And one thing is certain in marketing: There is always more to measure and more data to analyze. There are more numbers to track and more analyzing to do. Data-driven marketing is a ride on a thin line between spending too much time and effort on getting data that does not add very much information and not watching enough numbers to really know what you are doing. If you need some inspiration for marketing metrics that could be interesting to you, here is a list of metrics to watch. This article was proofread and edited by myself with the help of Grammarly. If you are blogging in English and cannot afford a professional editor, Try Grammarly Now! It rocks.